All abooooard! 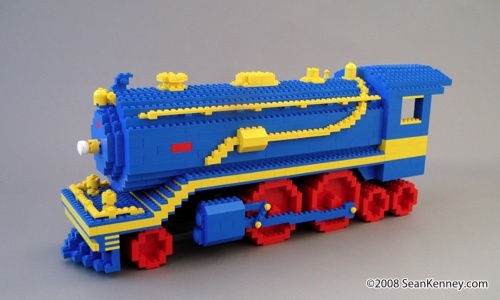 This steam train was made entirely with basic shapes in primary colors, to look as "LEGOish" as possible. It's about 2 feet long and contains over 2500 LEGO pieces. I wore a vest and pocketwatch as I built this. 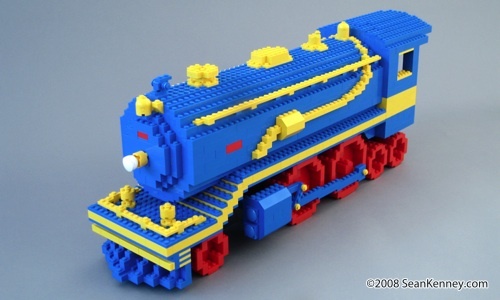 This LEGO train used in an episode of NBC's 30 Rock with Tina Fey and Alec Baldwin. Episode #309 "Retreat to Move Forward", originally aired January 22, 2009. The episode featured a scene where Liz Lemon (Tina Fey) and Jack Donaghy (Alec Baldwin) must build a LEGO train in a timed building competition. Watch the episode (Ages 13+, US only) [ Keywords: lego 30 rock legos train steam engine ] 30 Rock episode #309 press release at NBC.com Liz Lemon (Tina Fey) and Jack Donaghy (Alec Baldwin) must build a LEGO train in a timed building competition during the Six Sigma executive retreat at Croton-On-Hudson. 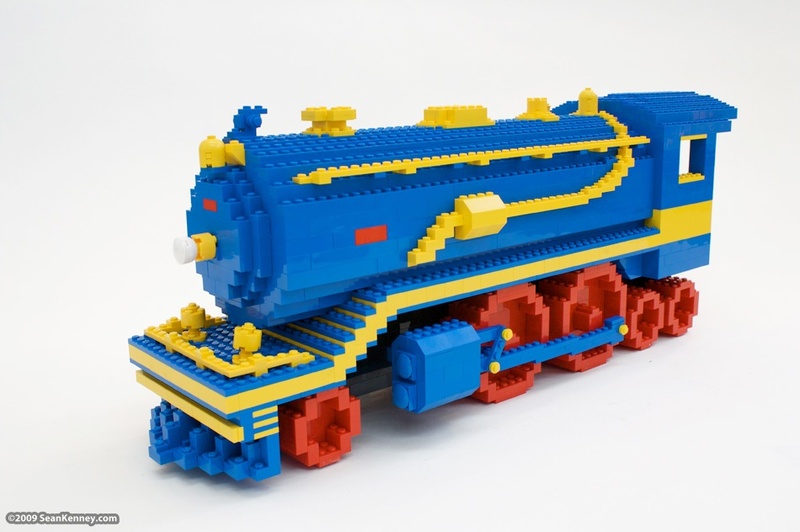 LEGO train created with thousands of LEGO bricks by New York artist Sean Kenney.